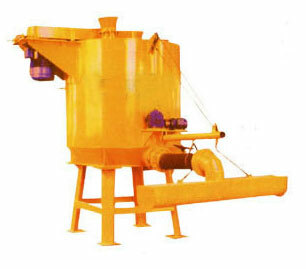 Uses: This machine is mainly used for stir the slurry injected into the tank by a certain ratio, cement, lime, gypsum and aluminum paste suspended liquid ,so that uniform mixing adequate response, and promptly inject the mixed slurry into the mould frame. In the tank stirring intensity and time have a great impact on the quality of the aerated concrete. 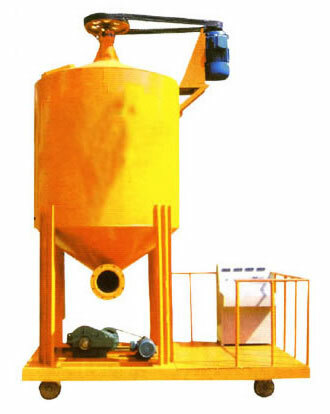 The structure features: This machine adopts propeller stirring, strong vortex is formed in the tank, destory the coated of the lime particles so as to achieve a fully mixed.The liftable casting arm adjusted the height with the casting process, to prevent splashing. The machine can be made ? ?according to the process requirements for fixed and mobile. Fixed and sub-floor and hanging, users can meet a variety of requirements. In the production line uniformly and sufficiently stir various materials which are metered , to achieve the various physical and chemical indicators pouring. 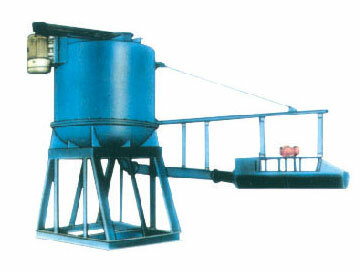 The equipment is divided into: fixed and mobile.As fly ash beating and recycle slurry ingredients used in the production lineVolume is divided into: 16 m3, 24 m3, 36m3.